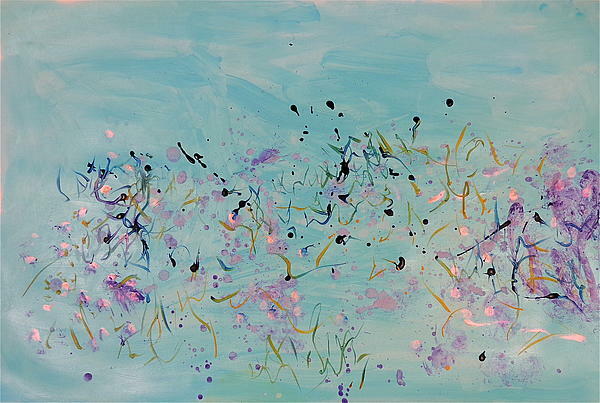 This painting has the look of watercolor on a large format. 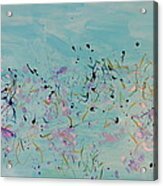 Its soothing overall background of teal has the impression of beach flowers growing freely . Across the foreground these plants have gold accents suggesting flowers and pods. Depth is created by having the floral section textured. When reproduced the 3D detail is shown. Put this in a bedroom for a stunning decorative accent. 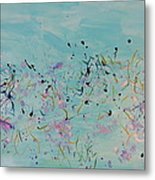 Whether the original, print or greeting card, the art will be a conversation starter. The original is no longer or sale. Learn about me by following my blog on art and history. 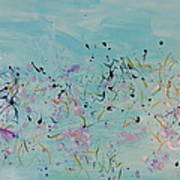 http://leartisteboots.wordpress.com/ A new blog on this site will address the methods and business of art. Click on BLOG in the header above. Art must be a business to answer the question: "Can artists eat?" I believe we must study, produce and promote our work to be successful. 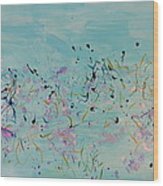 My paintings are in public and private collections. My major paintings are done in series of historic women. "Learning is a life-long endeavor."